We all know that our children learn best when they are having fun, so if your child is struggling to learn their spelling words, why not try to turn the ordeal into a game. There are some excellent commercial spelling games available which can help your child improve their spelling generally. However if you are trying to help them learn a specific list of words, the following free games and activities are ideal. 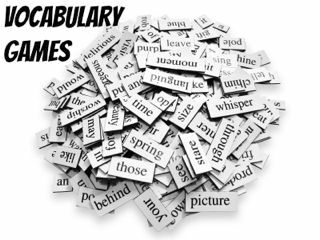 These games will help to make learning those weekly spelling lists a breeze. Different children learn in different ways, so spelling games which work for one child may not work for another. Try a variety of different spelling word games and find the ones which your child enjoys the most and which work best at helping them memorise their spelling words. Also, swap between spelling activities to keep things interesting, and don't forget to stop when your child has had enough. They can always have another go later. Use chalk or paint to write the words either inside or outside (painting with water works well outside). Write each word, or each letter in the word, in a different colour of the rainbow - the first one red, the next orange etc. Use their finger to trace out the words on a tray covered in something strange e.g. shaving cream, sand, sugar or rice. Use alphabet letter stamps to ‘stamp’ the spelling words. Use magnetic letters on the fridge or a cooking sheet/baking tray. You choose a word and your child has to spell the word, saying one letter of the word with every back and forth movement of the swing, jump on the trampoline, throw or bounce of a ball, or shot of a ball into a hoop. Ask your child to search for their spelling words in a newspaper and circle the words when they find them. Write tricky spelling words on a sticky note and stick them in prominent places around the house, such as on the fridge door or in the bathroom. Time your child to see how long it takes them to make all the words. Then mix the letters up again, repeat and see if they can beat their time. 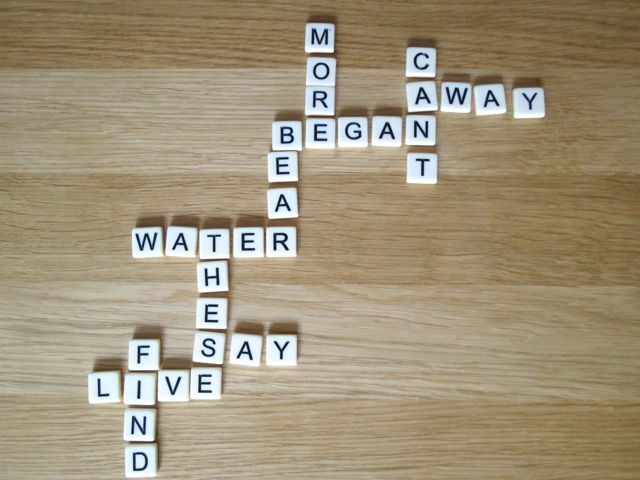 Make a crossword out of the words, joining words together at a common letter. Once the words have been made, count up how many points each word is worth using the numbers on the letter tiles, and then re-arrange the words in order from the least points to the most points. Ask your child to write a silly sentence containing as many of their spelling words as possible. Choose six spelling words and ask your child to write them down the left-hand side of a piece of paper, next to the numbers 1 to 6. Then draw six columns next to the words. Your child rolls a dice and writes the word corresponding to that number in the first column for that word. They continue rolling the dice, writing the word associated with the number on the dice in the next available column for that word. The first word to be written six times is the winner. My son loved this so much he wanted to carry on until all the words had 'finished' the race. There are many other great ideas around for games to get your child learning their spelling words. Write one letter from each word on a strip of paper. Muddle up the strips of paper and lay them face-up in front of your child. Ask your child to make a paper chain for each word, stapling the appropriate strips of paper together. From Relentlessly Fun, Deceptively Educational. Another great idea from Relentlessly Fun, Deceptively Educational is this spelling battleship game. Choose five words which your child is having trouble spelling. Print out two board games, one for you and one for your child. Each of you add the spelling words where you like in the grid on the left and record hits and misses in the grid on the right. For this spelling activity from No Time For Flashcards you need an old puzzle. Make the puzzle then break it into chunks according to the length of the spelling words. Turn a puzzle chunk over and write a word on the back - one letter per piece. Write the other words on the other puzzle chunks. Then mix up all the puzzle pieces and ask your child to make the words. There are lots of great ideas for spelling games at ilovethatteachingidea.com. My favourite is the following. Choose a font on the computer that prints out symbols instead of letters. Type the entire alphabet at the top of the page and then underneath type out each of the spelling words in this same font. Ask your child to "break the code" and work out what each word is. My current favourite electronic-based program for helping my son practice his weekly spelling words is the iPad and iPhone Word Wizard app. You can quickly and painlessly punch in your child's latest spelling list and then the application speaks the words aloud to your child as they spell them. I never have any complaints from my son when I ask him to practice his words on the iPad. BBC Spellits contains three games designed for children between 7 ­and 11 years old. The BBC Sandcastle quiz helps practice the common alternative spelling choices for different vowel phonemes. In the Funbrain Spell Check your child spots which word is spelled wrong, and then spells it correctly. In this activity from Scholastic you type in ten of your child's spelling words and a spelling scramble or word search is automatically created from these words.